I am a huge fan of the Pre-Raphaelite painters. I even bought the BBC miniseries Desperate Romantics (which isn't very good although Tom Hollander is wonderful as John Ruskin). So I was squealing like a fan girl when I discovered there were two new non-fiction books about the 19th century love triangle between Effie Gray, John Ruskin and the painter John Everett Millais. I've written about the scandal before here. 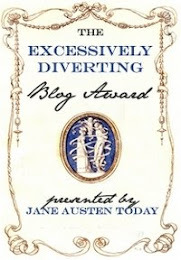 There is also a new move that is coming out in 2012 starring Emma Thompson. 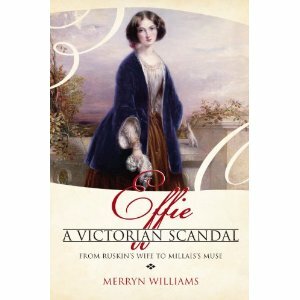 Our first book is Effie - A Victorian Scandal by Merryn Williams. 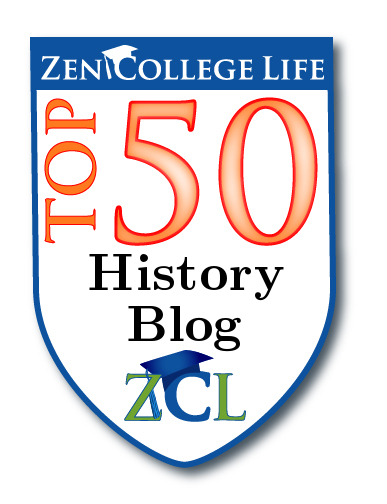 I recently read a wonderful article by the author Merryn Williams in the summer 2011 issue of Herstoria Magazine. 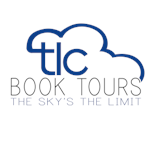 The book unfortunately hasn't been published in the States but it is available through Book Depository and Amazon.co.uk. 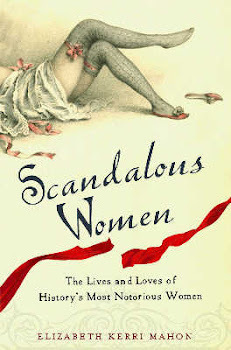 Victorian scandals don't come much more intimate and revealing than a wife seeking an annulment from her famous husband because their marriage has not been consummated. When Effie Ruskin sought escape from her desperately unhappy life with art critic John Ruskin, she shattered the Victorian illusion of the perfect marriage. That she could then dare to hope for respectability and even happiness as the wife of artist John Everett Millais fuelled a scandal that was to reverberate around Victorian society for years to come. Ruskin, Millais and Effie were exposed to the kind of gossip today's wannabe celebrities can only dream of. Effie was regarded as mentally ill, immoral and certainly tainted - Queen Victoria initially refused to receive her - while Ruskin was seen either as noble and virtuous or deranged and impotent. Ruskin was repelled by Effie's body; Millais used her as a model in some of his greatest paintings. Millais went on to become one of Britain s most popular painters, but the stigma of his wife's past would never be forgotten. From the heart of the Pre-Raphaelite Brotherhood comes a story as fascinating today as it was shocking in the 1850s. ﻿Effie Gray, a beautiful and intelligent young socialite, rattled the foundations of England's Victorian age. Married at nineteen to John Ruskin, the leading art critic of the time, she found herself trapped in a loveless, unconsummated union after Ruskin rejected her on their wedding night. On a trip to Scotland she met John Everett Millais, Ruskin's protégé, and fell passionately in love with him. In a daring act, Effie left Ruskin, had their marriage annulled and entered into a long, happy marriage with Millais. 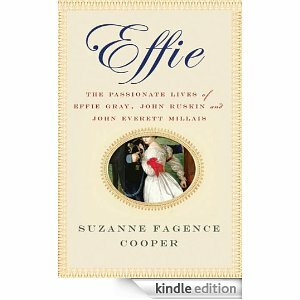 Suzanne Fagence Cooper has gained exclusive access to Effie's previously unseen letters and diaries to tell the complete story of this scandalous love triangle. In Cooper's hands, this passionate love story also becomes an important new look at the work of both Ruskin and Millais with Effie emerging as a key figure in their artistic development. Effie is a heartbreakingly beautiful book about three lives passionately entwined with some of the greatest paintings of the pre-Raphaelite period. I can't wait to read both of these books. I have Cooper's on my TBR pile by my bed (which I'm afraid is going to topple over on me in the middle of the night). Thanks so much for this post! I LOVE the Pre-Raphaelites, so these will definitely be on my next Amazon order!